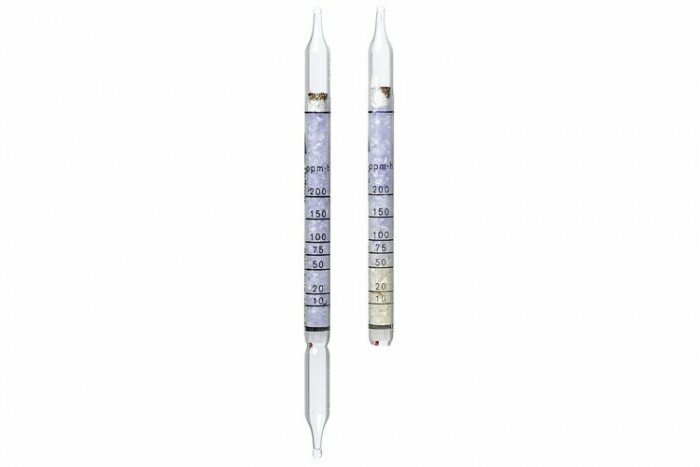 This Drager diffusion tube is for Hydrochloric Acid (10/a-D) and features a measuring range of 10 to 200 ppm x 1 hour. It features a maxiumum operation time of 8 hours and has a shelf life of 2 years. Hydrochloric Acid is a clear and colourless type of gas. 10 ppm Sulfur dioxide has no influence on the indication during an 8-hour measurement. Other acid gases are also indicated, but with different discolorations and sensitivities. Nitrogen dioxide discolors the indicating layer red brown. After 4-hours, 5 ppm chlorine simulates a hydrochloric acid indication of 35 ppm x h.